The population of our world is increasing at a light speed. And with population rises the demand for consumption. Manufacturers face this problem of high demand and less time. While all the conventional methods seem to prove slow only one method promises a fast and efficient solution. That is the implementation of manufacturing robots. We live in a digital age where artificial intelligence prevails amazingly. Not only the IT companies but every major company is looking to solve its problems by borrowing the hand of robots. Artificial intelligence has even stepped in the territory of Agriculture and has shown promising results. But what exactly is the role of manufacturing robots? What are the duties or benefits or disadvantages of manufacturing robots? Following article would discuss every important aspects of manufacturing robots. Since the demand of consumers is rising constantly and quickly, manufacturers are trying their best to fulfill their demands. The problem with such an abundance of manufacturing poses the problem of inefficiency. Humans work in a limited frame while robots offer the benefit of stamina-less work. The robots are lending a whole new horizon in the world of manufacturing. These robots are not only designed to move the materials but also help in the main functions of manufacturing. The main advantage of using manufacturing robots is that they perform the dangerous tasks which are too risky for humans to handle. Another benefit is that they can perform the long tedious tasks which can bore any human being easily. Robots are proving to be a high factor in the increase of the production as their implementation eliminates the possibility of human error which is bound to take place no matter how skilled the workman may be. The safety of the organization and workmen is also a concern. This problem is solved by integrating artificial intelligence software into the robots. These robots stop as soon as they are confronted by a human worker so as to avoid any collision. This is achieved by the latest technology of sensors and vision tools. Almost a one third of the manufacturing robots are uses for the welding purposes. Not only large but small firms are also implementing this technology as it decreases the cost. These robots are either operated by the pre-guided program or machine vision or a combination of the both. These features have allowed the manufacturers to increase their production through precision and repeatability. While only a small portion of robots is used for the assembling purposes but the precision and punctuality brought by their work invests heavily into the output of any manufacturing firm. As compared to humans robots assemble the parts with greater precision and speed which brings the increase in the output as well as the efficiency in the products. These robots are fitted with the latest technology of vision force sensing tools. The artificial vision enables a robot to pick up the part from the conveyer and fit it into the precise location. While the force sensing feature help the robot sense the exact insertion the tool demands and the precise force it needs to be inserted rightly. The combination of these technologies enable the robot to work super efficiently and thus increasing the output considerably . Even a smaller portion of robots are active in the dispensing operations. But these robots offer a great control over the placement of fluids, paints, and adhesive material. When a product comes out of a machine it is rough and before getting out in the market its surface needs to be smooth and clear. No products is complete without the polishing and these manufacturing robots offer a supreme control over the finishing process. Many firms are employing robots for the inspection purposes as well. The vision technology integrated in the system allows the robot to detect the smallest of the flaws sometimes invisible to the naked eye. Once a product is inspected by a robot it can be sent into the market with closed eyes. The only problem the manufacturing robots pose is that of high investment. However if one looks deep into the tunnel it could be found that in the long term the implementation of robots in manufacturing purposes is only beneficial. The advantages of robots come in various ways such as a robot can handle even the most complex problems and keep working 24/7. It does not get tired ever. Then is the feature of the high flexibility of these robots. 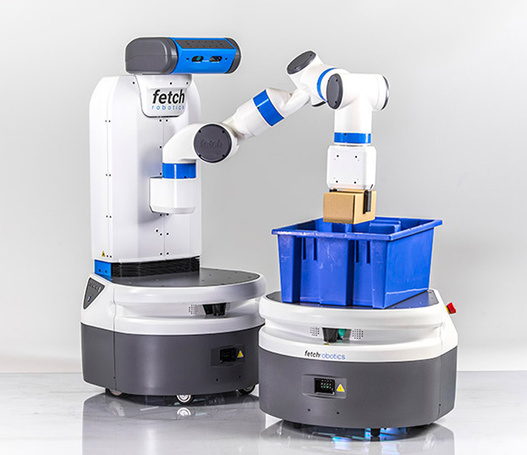 An artisan is capable of working efficiently in a specific field while these robots can be programmed to perform various tasks at the same time. Then comes the aspect of the cost. Every small or large company looks to bring down the prices of its products in order to stay in competition and robots allow that. Manufacturing robots are not an option but a need of every manufacturing firm. Robots make manufacturing jobs much easier and faster. With the increase in population, the demand is more. In order to meet the demand one must increase production. Robots do the job efficiently and in quick time.